We the MSN MICROSOFT MANAGEMENT WORLDWIDE are pleased to inform you today been the 16th of April 2007. that you are among one of the lucky winners of our annual MSN/MICROSOFT PROMOTION AWARD PROGRAMM conducted in UNITED KINGDOM on the 16th of April 2007. 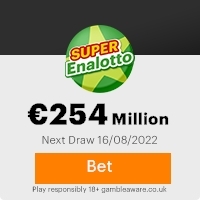 Your E-mail address is attached to WINNER NO4, with serial number:7741137002 and drew the lucky numbers :6-9-11-33-36-49-29 , Batch No: 744RT/MSN/UK which consequently won in the 3rd lottery category. You have therefore been approved for lump sums pay of � 3,500.00 pounds ( Three Million Five hundred thousand pounds) in cash, Credited to file REF NO:MS_475061723 . In view of this, your prize 3,500,000.00 Pounds would be released to you by Our Prize Payment Officer (Mr. Mark Strachan). He will immediately commence the process ,to facilitate the release of your lucky won prize as soon as you contact him for the claim of your lucky prize. Previous: YOU ARE AMONG OUR 2007 ... NERS.Fresh ScamsNext: You are a winner. This Email with the Subject "YOU ARE AMONG OUR 2007 PROMOTIONAL WINNERS." was received in one of Scamdex's honeypot email accounts on Mon, 16 Apr 2007 16:02:57 -0700 and has been classified as a Generic Scam Email. The sender shows as "MSN PROMO CENTER" <msn_noticei20@hotmail.com>, although that address was probably spoofed. We recommend that you do not attempt to contact any persons or organizations referenced in this email, as you may expose yourself to scammers and, at the very least, you will be added to their email address lists for spam purposes.